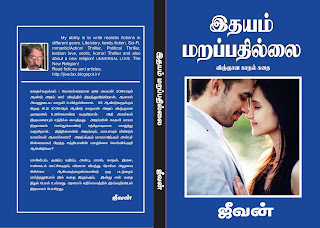 'IDHAYAM MARAPPATHILLAI' (Heart never forgets) Eternal love sci-fiction love story now available in Tamil language. 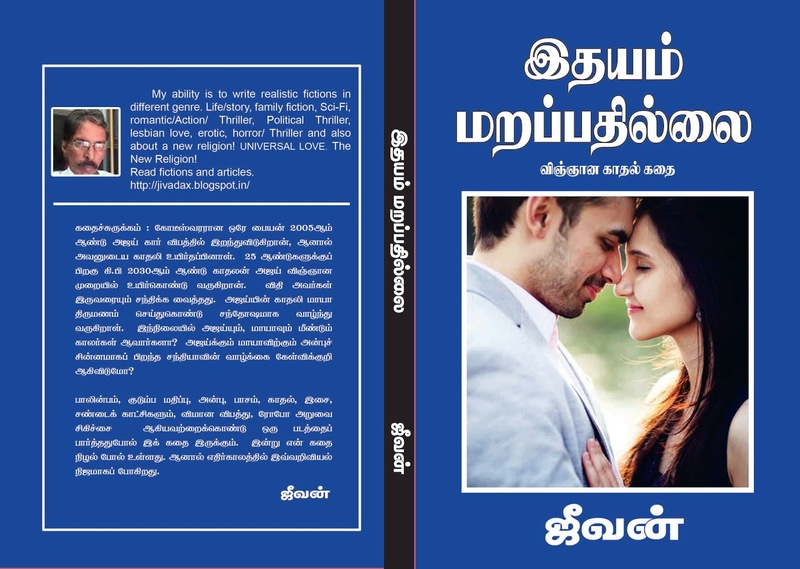 140 pages book cost Rs 70/-only . Eternal love sci-fiction love story and Broken heart Horror fiction are copyright registered and published book now available for movie production. I wrote my fiction as per Indian culture. Given a chance to work as creative director for movie version of my fiction I will help you to set my story at moderate budget also I will convert my fiction into movie script. Each paragraph will be made into scenes with appropriate dialog. I will also design movie poster (concept) run title, credit title, sub titles, design sets, assist director and graphic artists to get my kind of visualisation. P.O box No: 1447, No 7, Thanikachalam Road, T.Nagar, Chennai-600064. 'IDHAYAM MARAPPATHILLAI' (ETERNAL LOVE. Sci-Fiction Love story). Log line: A young lover was brought back to life with futuristic technology on A.D2030 and he falls in love with same woman! Billionaire's only son Ajay dies in a freak accident but his girlfriend Maya survives. Twenty-five years later Ajay was brought back to life with futuristic technology in A.D.2030. Fate brings them together. His ex-girlfriend Maya is happily married woman with a grown-up son. Will they became lovers again? What happened to their only love child Sandhya? Coming next. ‘A M A N U S H’ Broken Heart horror thriller in Tamil Language. ‘A M A N U S H’ A man with supernatural power. A young married couple from New Delhi decides to spend their honeymoon at hill resort Kodaikanal in Tamil Nadu. Near the suicide point at about 8.30 P.M. in the pouring rain her husband was brutally beaten to death and his young wife gets gang raped and murdered. They burnt the body of husband and wife so that there is no evidence. Only husband alone comes back to life! Out of ten million people in Chennai city he will have to hunt down and kill each one of the perpetrators of crime in a gruesome manner. What makes this fiction unique? The special appearance, character and special power given to Ajay make this fiction interesting. ETERNAL LOVE & Broken Heart 2-in-1 English edition is available here. 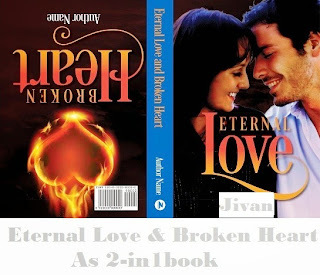 To buy or read few chapters of Eternal Love and Broken Heart . All rights reserved. No parts of this publication may be reproduced, stored in a retrieval system, or transmitted, in any form or by any means; electronic, mechanical, photocopying, recording, using electronic media or using story concept/synopsis for writing fiction/making movie/DVD movie/T.V serial or for IPTV requires prior permission of the author.